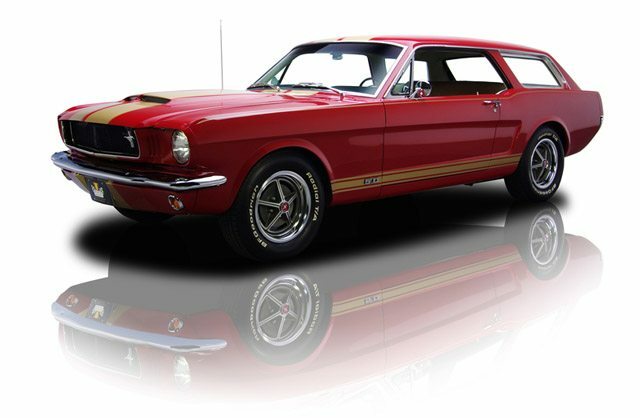 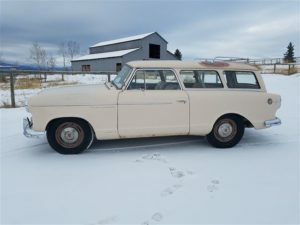 I’m a big fan of Mustangs and I’m a big fan of vintage station wagons, so its seems a given that a Mustang wagon would be a perfect fit of sportiness and quirkiness for me, butI have to admit I’m on on the fence about this one. 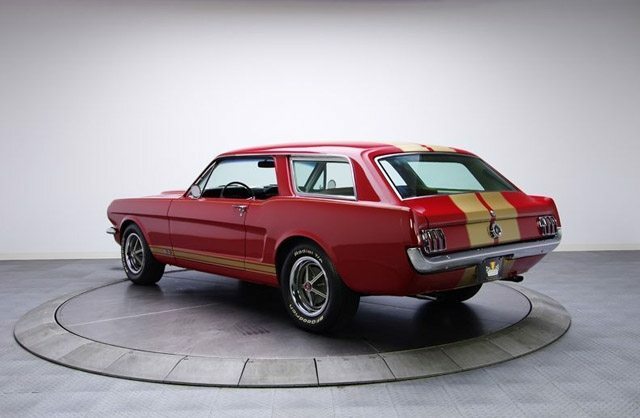 Customized Mustang wagons have been around since the cars inception, but I have such a predisposed image of what a Mustang should be it’s hard for me to love this car. 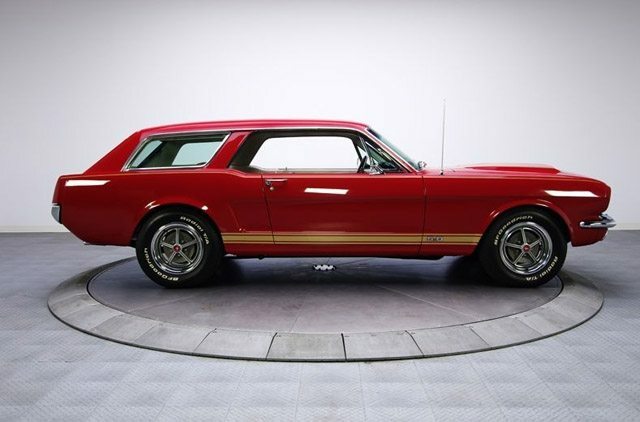 That said, this Mustang wagon found at RK Motors with an asking price of $54,900 looks like a high quality conversion. 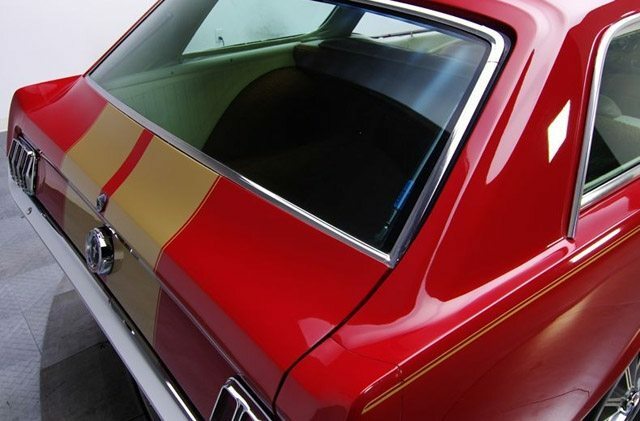 The exterior of the car maintains it’s mid-60’s look with some added touches that includes Shelby striping and a fiberglass hood with an integrated scoop. 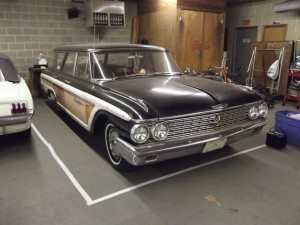 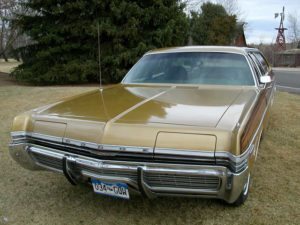 The interior maintains a stock feel with an added front bench seat for that wagon feel. 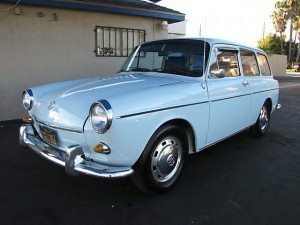 The modern drivetrain is impressive: A Ford 5.0L V8, a T5 5-speed manual and a Ford 8-inch rear end sporting 3.00 gears. 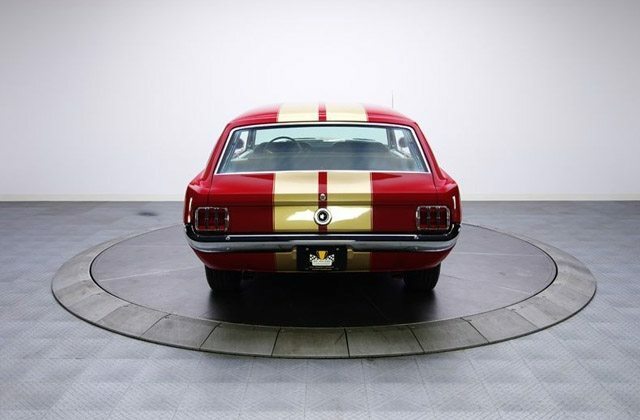 WOW, something you never see what a beauty.I would have bought one instead of my 65 mustang.Nice looking..Good job!